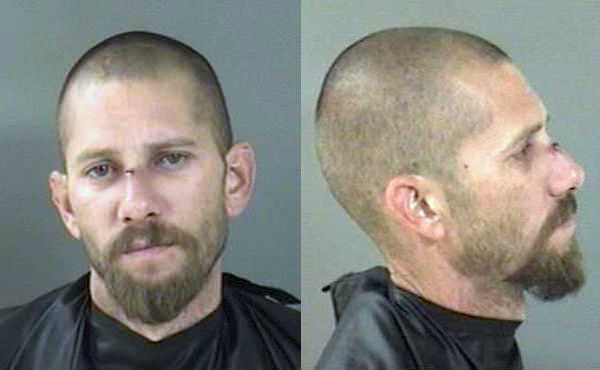 Sebastian man fires gun in Vero Beach. VERO BEACH – Indian River Shores police received a call about a man firing a gun at the beach. Officers made contact with a Vero Beach witness who pointed out the suspect, identified as 35-year-old Michael Benjamin Kirchner of Sebastian. The witness said he was at the beach with his family when he saw Kirchner with his dog and arguing with a woman. Kirchner was seen standing on the top step of the beach access, raising a black gun, and firing two rounds straight in up in the air, according to the report. Officers then made contact with Kirchner who appeared to be intoxicated. He told police that he did not own a gun and that witnesses heard the “pop” noise from a caller device for his dog. Kirchner did not know where the caller device was. Kirchner told officers that the drank four shots of liquor on his way to the beach. A search of his vehicle revealed a half-full bottle of Vodka. Vero Beach Police assisted in the search by providing K-9s to the location. A black Sig semi-automatic .45 caliber handgun was found near a tree, approximately 30 feet from Kirchner’s vehicle. The gun was loaded with five rounds in a 10 round magazine plus 1 round in the chamber. Multiple people walked up during the search and heard what sounded like two gunshots, the report said. Kirchner was arrested and charged with Discharging a Firearm in Public, Possession or Use of Firearm While Under Influence of Alcohol or Chemicals, and Improper Exhibit of Firearm or Weapon.